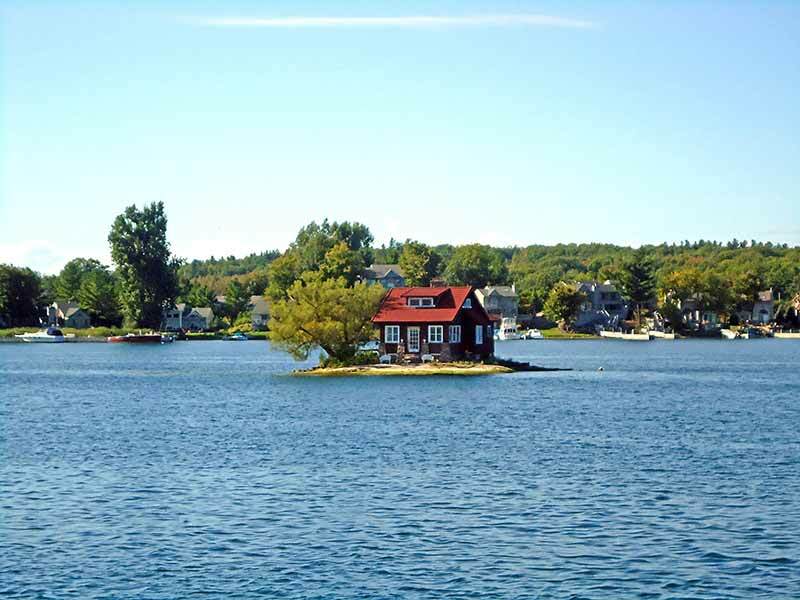 See the Stunning Alexandria Bay in Upstate NY's Thousand Islands Region! Located on the St. Lawrence River, Alexandria Bay is an ideal vacation escape, full of beauty, relaxation and fun. Visitors to this beautiful area find an array of entertainment, including world-class festivals and events going on year round. Water sports are very popular in the summer months, as well as swimming and boating. Vacationers enjoy scenic boat tours of the Thousand Islands, drifting past charming villages, scenic landscapes and marvelous attractions along the magnificent St. Lawrence River. Alexandria Bay also offers a plethora of specialty shops and boutiques along with a great selection of restaurants and cafés for a pleasurable day out shopping and sightseeing. Just across the bay, on a heart-shaped island, stands an authentic turn-of-the-century castle, which is a major focal point of the area, admired by many Alexandria Bay visitors. There are plenty of hotels and lodging options to choose from in Alexandria Bay, NY, making this popular destination easily accessible to vacationers and honeymooners year round.